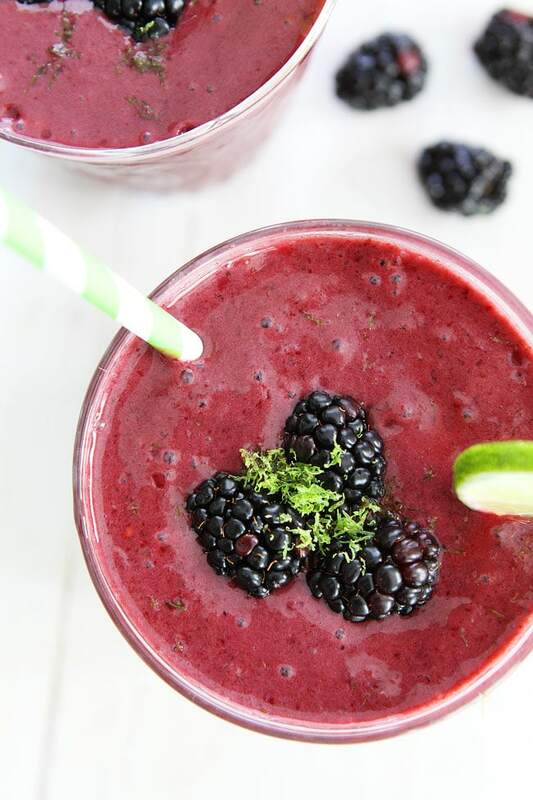 Blackberry Lime Smoothie-this refreshing blackberry smoothie has a kick of lime! It is great for breakfast, snack time, or dessert! We have been enjoying warm, sunny days at the park. Yay for spring! After playing hard at the park, the boys are ready for a snack and I love making them Blackberry Lime Smoothies. The smoothies are a great refreshing and healthy treat for spring. Along with the blackberries, I also used a frozen banana because it makes the smoothie extra creamy! 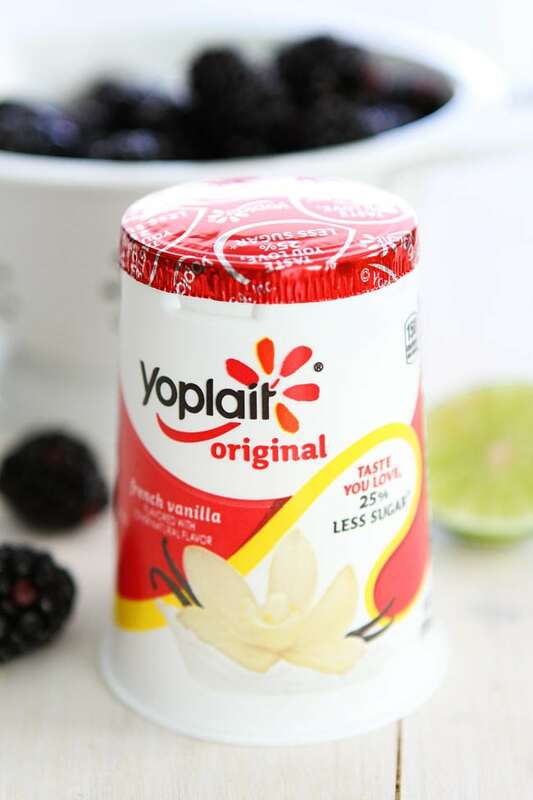 The smoothie is also made with Yoplait Original French Vanilla yogurt, which is rich in calcium, contains essential Vitamins A & D and is a good source of protein. Over the last few years, Yoplait has been busy making changes to their yogurt. They have reduced sugar by 25% in Yoplait Original, removed high fructose corn syrup, and removed aspartame in Yoplait light. Yay! The blackberry and lime combo is fantastic! The hint of tangy lime is a pleasant surprise and will keep you sipping until you get to the bottom of the glass. Luckily, this smoothie is easy to make so you can make it all of the time! It is great for breakfast, snack time, or even dessert. 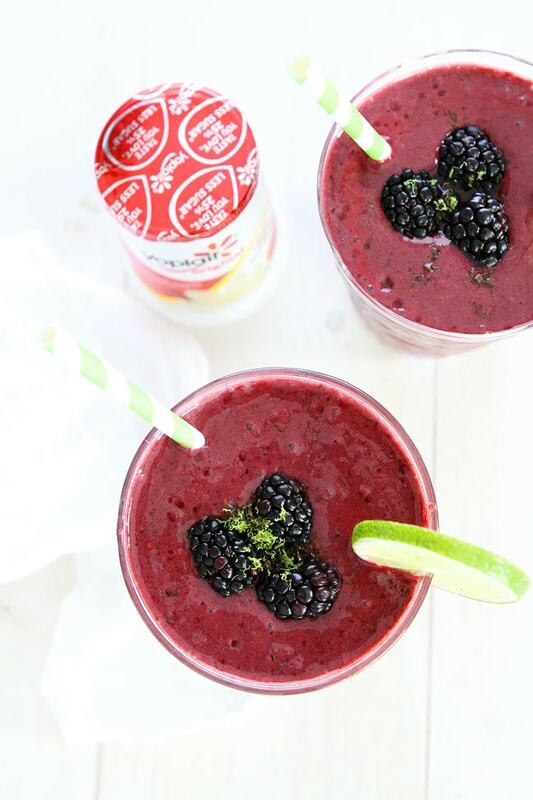 Celebrate spring with Blackberry Lime Smoothies! They are sure to bring a little extra sunshine your way! 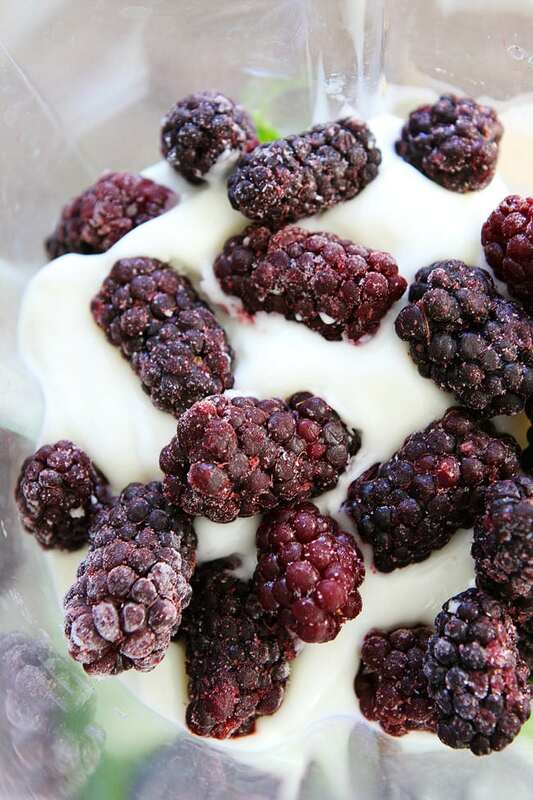 This simple and healthy blackberry smoothie is great for breakfast, snack time, or even dessert! And you will never know there is spinach in this smoothie. It is SO good! 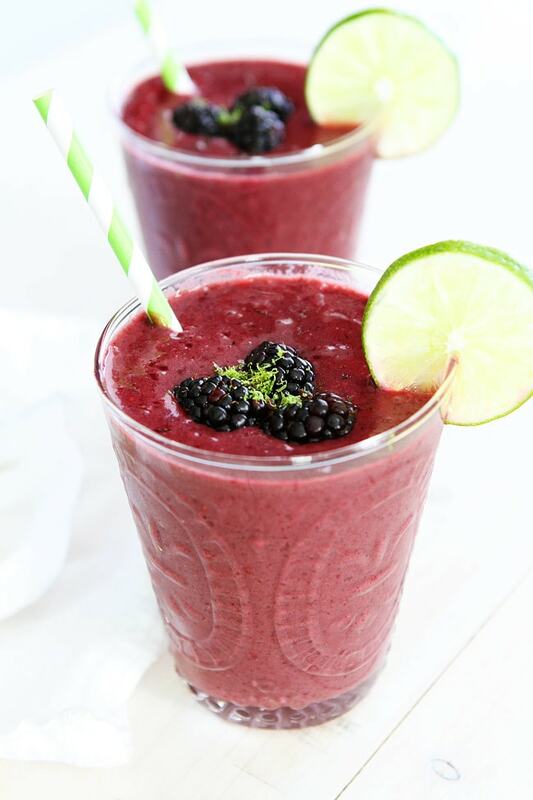 Add milk, yogurt, lime zest, lime juice, spinach, blackberries, and banana to the blender. Place the lid on and blend until smooth. Pour into glasses and serve immediately. Note-I always keep unpeeled bananas in the freezer for smoothies. If you don't have a frozen banana, you can use a regular banana and add a few ice cubes. This post is sponsored by Yoplait, but our opinions are our own. Thank you for supporting the brands that continue to make Two Peas and Their Pod possible. You can use kale or leave it out. 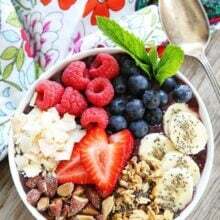 I’m all about delicious smoothies like this for the warmer seasons! Blackberry and lime is such a great combo!! Love that you hid spinach in it too! Super healthy smoothie to beat summer heat. I liked adding lime and spinach with it. Awesome recipe!!! I am not a big fan of smoothies. This sounds like a smoothie I could go for! Thank you for sharing it! This seriously sounds so refreshing, Maria!! Love the idea of a BlackBerry smoothie but not a fan of spinach…any suggestions for substitution?? You can just leave it out or use kale. Can’t stand bananas anymore, what could I use instead? Also does the lime juice react with the yogurt in anyway? I have not been able to figure out pineapple in smoothies because it curdles the yogurt. You can leave the banana out, but it won’t be as creamy. 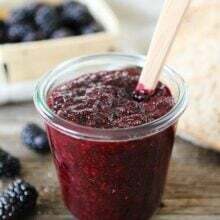 Just add more blackberries. 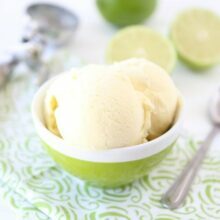 The lime didn’t curdle the yogurt. I made this smoothie this morning and the lime juice reacted with the yogurt and it turned sour. How do I prevent this? Weird, I have never had this problem. I don’t let it sit before I blend maybe that is why? Unique and details article. Thank you so much.